NEW NAME, SAME GREAT FORMULA! L-Lysine is an essential amino acid. Amino acids perform a variety of functions and form the basis for protein. Each single serving delivers 500 mg. of this free-form essential amino acid in rapid-release capsules. Directions: For adults, take one (1) capsule two to four times daily, preferably on an empty stomach. L-Lysine 500mg is rated 5.0 out of 5 by 7. Rated 5 out of 5 by Leslie56 from Overall great supplement! L-Lysine 500 mg size capsules are a convenient, easy to swallow product. This product, along with exercise and healthy eating, have been a part of my wellness regimen for many years. I regularly take this supplement and recommend it to my family, friends and co-workers. Rated 5 out of 5 by Graveywavy from take one capsule per day I have been using this product for years. It is great and I buy L-lysine 500 mg from Vitamin World over any other brand, particularly since this is free-form. And I love it when they have specials! 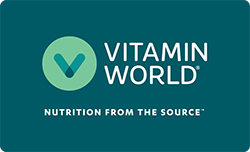 Rated 5 out of 5 by OKbichonmom from Great product/price/delivery service We purchase our L-lysine only from Vitamin World because they sell the capsules which are easier to swallow. We also purchase from VW because of the excellent price and very fast delivery. Rated 5 out of 5 by Jane from Wonderful! I had looked everywhere for an alterntive to the huge tablets. These capsules make swallowing them so much easier. Easier is always good!